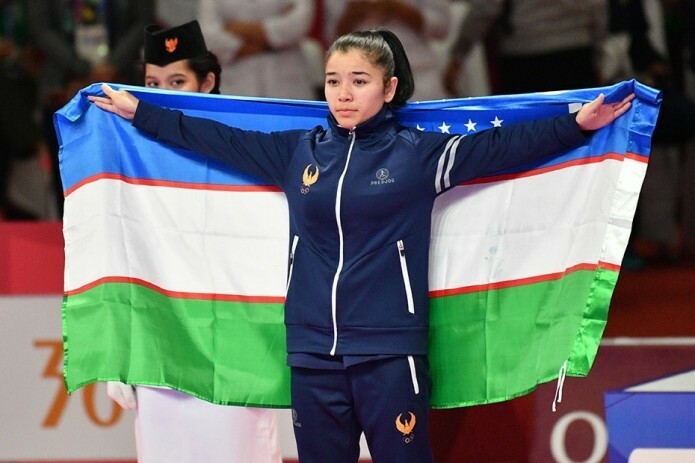 Uzbek athletes won three more medals on the ninth day of the Asian Games and have successfully qualified to the next stage. While weightlifter Rustam Jangubaev won a bronze, Bahriniso Babayeva attending the karate competition failed to win the final match and received the silver medal. In the team competition in rhythmic gymnastics, our grace has made the second result with 155.3 points and won the silver award. The national team, thus now has 6 gold, 13 silver and 12 bronze medals.